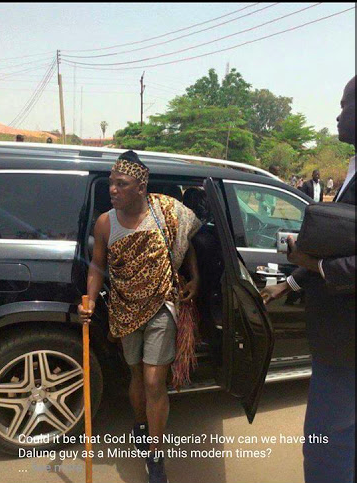 So This is Nigeria's Minister of Sport Mr Solomon Dalong...Anyone know where he was going dressed like that? kinda reminds me of Oga Lai Mohammed's masquerades. Lol!